If you’re ready to launch a new business or you want to expand your current company, it’s important to remember that everything you do defines your brand. It’s vital that you pay careful attention to crafting a strong, positive perception of your company. 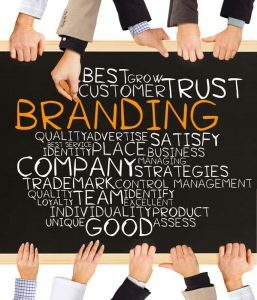 Not only will creating a strong brand help increase your revenue, but it will also assist you in landing reliable, repeat customers who trust your company and who are delighted with your products or services. Here’s what you need to know. A lot goes into creating a positive public perception. Not only do consumers respond to your product packaging and ads, but they care about your employee social media responses and your company’s Internet presence. If you’re ready to expand your brand and take your company to the next level, make sure that you’re doing as much as possible to present a positive public image. Don’t opt for the cheapest or more ordinary-looking packaging. You want your products to stand out from the crowd. Whether you’re selling subscription boxes or cereal boxes, make sure you opt for packaging that stands out and lets people know that this is a product by your brand. It should be interesting, and the writing should clear so consumers can read what you have to say. While you might not have television ads running, chances are you have digital ads on different websites and social media sites. Make sure these are vibrant, interesting, and meaningful. For example, if you’re running an ad that features a giveaway, make sure the copy that accompanies the giveaway picture is interesting and well-written. If you’re running an ad to market your new product, include a caption that showcases the best qualities. Then ask a question so consumers can reply to your post. This will increase customer engagement. The result will be that more people will see, like, comment on, and share your post. This includes your brand’s Facebook page, but it also includes employee pages. Understand that many employee Facebook pages are public, which means consumers can see what they have to say about your brand. You may want to implement some sort of employee behavior policy that extends to social media, as your employee behavior can reflect on you. When you consider that everything you do defines your brand, it’s easy to understand that your marketing and social media presence matters. The right plan can help you extend and efficiently grow your brand, so don’t wait to get started. Once you decide to expand your brand and grow your customer base, you need to get to work. This includes the copy on your product packaging, as well as your social media and website content. Get your readers interested. When you intrigue someone, they’ll be more likely to remember your brand and to purchase your products in the future. Don’t be afraid to try new advertising methods, including running ads on different websites and social media apps. Many adults use social media as a way to shop for new products, so it’s a great launching point for any new marketing campaign and can help instill trust and interest in your brand. When your customers are happy, they’ll return as clients again in the future. Whether you’re offering goods or services, make sure you reach out to clients to make sure they’re satisfied with what they received. You can do this through marketing emails or social media posts. If someone does complain about a product or service, go out of your way to make it right. It doesn’t matter if you think the customer is being unreasonable. Remember that growing your brand means focusing on satisfying your clients, so do as much as possible to make them feel happy. No matter what type of company you’re running or launching, your brand matters. Trust and assurance in your company are essential if you want to expand and grow, so make sure you take the time to let consumers know exactly how fantastic your company really is. With the right marketing, your brand is one they’ll never forget.